Hi guys! 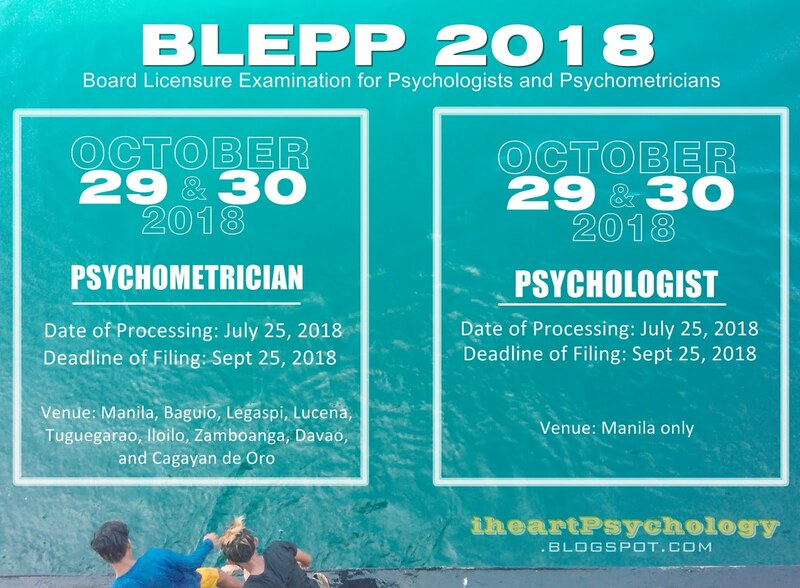 I have received a lot of queries about the schedule of the Board and Licensure Exam for Psychologists and Psychometricians lately. So, to answer your questions here's a short update. 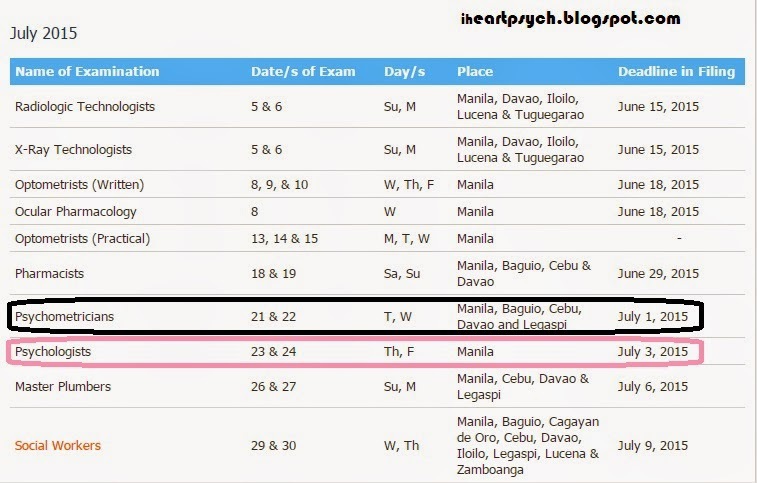 The Examination for Psychologists will be held on July 23 and 24, 2015. Deadline for submission of requirements will be on July 3, 2015. The Exam will only be held in Manila. The Exam will be held on Manila, Baguio, Cebu, Davao and Legaspi. Hi Mark! 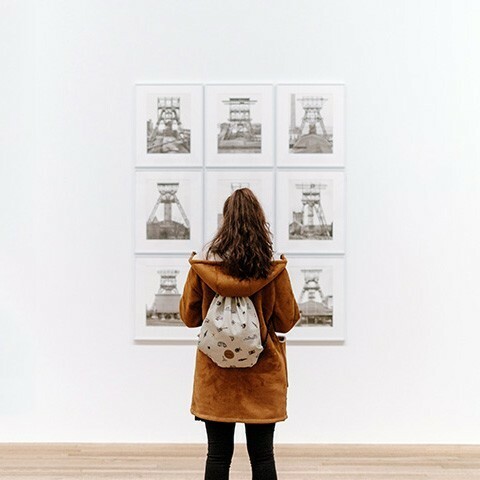 If you are practicing psychology since then, you may qualify to get the license without examination. But if not, you can still take the board exam as long as you completed all required board exam subjects before. Hi I'm Anna a graduate of AB Psychology yr. 2001 presently working in a Psychiatric hospital as a Occupational Therapy Tech. Just want to Inquire if I am qualified to take the board exam,I don't have any idea of what are the needed requirements to qualify for the exam..please help.